Driving Under the Influence (DUI) and Driving While Intoxicated (DWI), are common terms for drinking-and-driving behavior, accounting for nearly 29% (one-third) of all traffic-related deaths in the US. According to the National Department of Transportation, almost 33% of all drivers arrested or convicted of alcohol-impaired driving are repeat offenders. As a result of their habitual destructive and devastating behavior, these rogue drivers and the innocent victims will bear a heavy burden of injuries and/or death. The innocent victims should seek compensation for the selfish and reckless act of DUI offenders. An Atlanta DUI accident lawyer can fight to ensure you’re compensated. According to Mothers Against Drunk Driving (MADD), the local law enforcement agencies arrest over 1.4 million drivers every year for driving under the influence (DUI) of alcohol or drugs. The nonprofit organization further explained that 30 to 35 percent of all traffic deaths could be linked to a driver who had alcohol or drugs in their system while behind the wheel. The drinking-and-driving behavior is also heavily linked to age. According to the Substance Abuse and Mental Health Services Administration, those between 21 and 25 years old commit 24 percent of these incidents. The rate decreases steadily for every age group older than 25. An individual is considered negligent if he or she causes an accident while driving under the influence of alcohol or any other substance. Sadly, this only provides little comfort to those who endure severe injuries or lost a loved one in alcohol-related accidents. 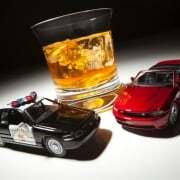 A driver convicted of DUI is liable to pay for all damages. However, he or she may not be the only person considered liable or negligent. Serious compensation, while owed to the victims, may never make up for the emotional and physical costs endured. Several states have laws that impose liability on clubs, bars, restaurants, or hotels that supply liquor inappropriately. Providing alcohol may serve as grounds to be considered negligent and liable for damages. Someone outside of such businesses may incur liability for supplying alcohol to a driver who subsequently has an accident that killed or injured a person. In such circumstances, a business is expected to exercise due care and not to serve an individual who’s obviously drunk. In some states, a host of a party may be liable if he or she continues to allow an apparently intoxicated guest to imbibe. Any other economic and non-economic losses. Remember, you can only recover the damages if you can prove that you suffered the full extent of the damages that you’re claiming, and that you incurred the damages due to the actions of the defendant. If you or your loved one has suffered an injury because of a DUI accident, contact an Atlanta DUI Accident Lawyer at Singleton Law Firm Atlanta at (470) 349-8702 or submit an online free case evaluation. We offer FREE initial consultation. NB: A victim must file some lawsuits before an applicable expiration date, known as the Statute of Limitations. It’s important to call or contact us right away so that you don’t lose your rights to compensation. Slip and Fall Accident Attorney Hello world!